CSH LawResourcesMunicipalities & Public EntitesPolice LawAre You Handling Requests for Law Enforcement Recordings Correctly? January 4, 2017 | By Dan Hartzog, Jr.
House Bill 972 was signed into law last summer, and took effect on October 1, 2016. It is now codified as N.C. Gen. Stat. §132-1.4A. The law is a significant change in the way municipalities are required to handle any video recordings made by law enforcement, including dash cams and body cams. Previously, there had been some confusion and debate as to how these recordings should be treated. There was general agreement that these recordings constituted “criminal investigative material” pursuant to N.C. Gen. Stat. § 132-1.4, although even that was the subject of some dispute. N.C. Gen. Stat. § 132-1.4 stated that such materials were not a matter of public record. However, unlike personnel files, there was no explicit prohibition on releasing these recordings despite the fact that they were not a matter of public record. As such, it was generally believed that public entities had wide discretion as to whether these videos should be released absent a court order. Other public entities took the position that these recordings constituted personnel files of the officers involved, as N.C. Gen. Stat. § 160A-168 defined “personnel file” as “any information in any form gathered by the city with respect to that employee.” As personnel files cannot be released without a court order except under limited circumstances, public entities that treated these recordings as part of the officer’s personnel file took the position that they did not have discretion to release the recordings. In an environment in which law enforcement recordings have increasingly become front page news, the North Carolina General Assembly passed HB 972 in an attempt to clarify the way law enforcement agencies should treat these videos. The statute explicitly states that these recordings are not considered public record, but are also not considered part of an officer’s personnel file. The statute further sets out the situations in which it is appropriate to release footage, and what considerations should be taken into account. The law makes a distinction between “disclosure” of records and “release” of recordings. “Disclosure” means to make the recording available for viewing or listening to by the person requesting disclosure, at a time and location chosen by the custodial law enforcement agency. “Release” is defined as providing a copy of the recording. In other words, disclosure is letting someone see the video, while release is giving them a copy. Understanding the distinction between these terms is crucial in complying with the statute. A personal representative of an adult person who is incapacitated and unable to provide consent to disclosure. If the person requesting disclosure of the recording is a person authorized to receive disclosure pursuant to subsection (c) of this section. If the recording contains information that is otherwise confidential or exempt from disclosure or release under State or federal law. If disclosure would reveal information regarding a person that is of a highly sensitive personal nature. If disclosure may harm the reputation or jeopardize the safety of a person. If disclosure would create a serious threat to the fair, impartial, and orderly administration of justice. If confidentiality is necessary to protect either an active or inactive internal or criminal investigation or potential internal or criminal investigation. If the agency denies the disclosure request, or if a response is not received within three days, the requesting party may apply to superior court for review. The court may conduct an in camera review of the recordings, and may order disclosure only upon a finding that the agency abused its discretion in denying the request for disclosure. The recording contains information that is otherwise confidential or exempt from disclosure or release under State or federal law. The person requesting release is seeking to obtain evidence to determine legal issues in a current or potential court proceeding. Release would reveal information regarding a person that is of a highly sensitive personal nature. Release may harm the reputation or jeopardize the safety of a person. Release would create a serious threat to the fair, impartial, and orderly administration of justice. Confidentiality is necessary to protect either an active or inactive internal or criminal investigation or potential internal or criminal investigation. The court also has the discretion to place any conditions or restrictions on the release that the court believes are appropriate. Law enforcement agencies must take the time to become familiar with the provisions of this statute, and should ensure that all requests for disclosure or release of recordings are handled pursuant to this statute. As long as agencies act in good faith compliance with these provisions, they are not subject to civil liabity for their handling of these requests. If you have any questions about how to respond to any requests for disclosure or release, you should contact an attorney to ensure that you are in compliance. The statute makes exceptions allowing the agency to provide a copy to the district attorney in criminal proceedings or to release the recording as necessary for other law enforcement purposes, such as training. 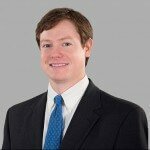 Dan M. Hartzog, Jr., is a partner in the firm’s Raleigh office, where he has been practicing since 2006. His practice focuses on employment law, with an emphasis on public entities. This involves defending employers when employees accuse them of discrimination, retaliation, harassment, and more. He also handles police liability law, which involves defending police officers or departments when someone accuses them of actions like constitutional violations, excessive force, or search and seizure.